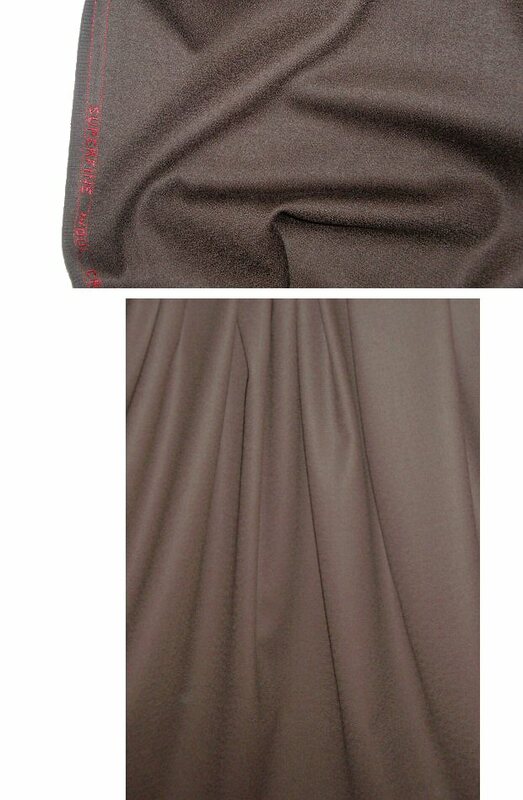 This is a gorgeous wool crepe made in Mexico, lovely quality, and the color is a classic dark chocolate brown (PANTONE 19-0812 is close). Light suiting weight with lovely drape and body, opaque, an upscale and versatile basic for slacks, jacket, suit, dress, skirt, etc. Dry clean.